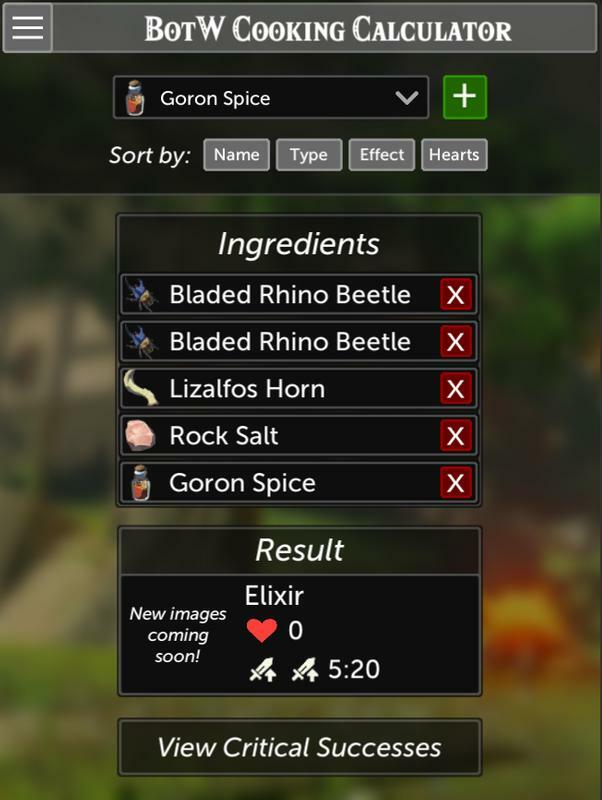 BotW Cooking Calculator is a companion app for The Legend of Zelda: Breath of the Wild. 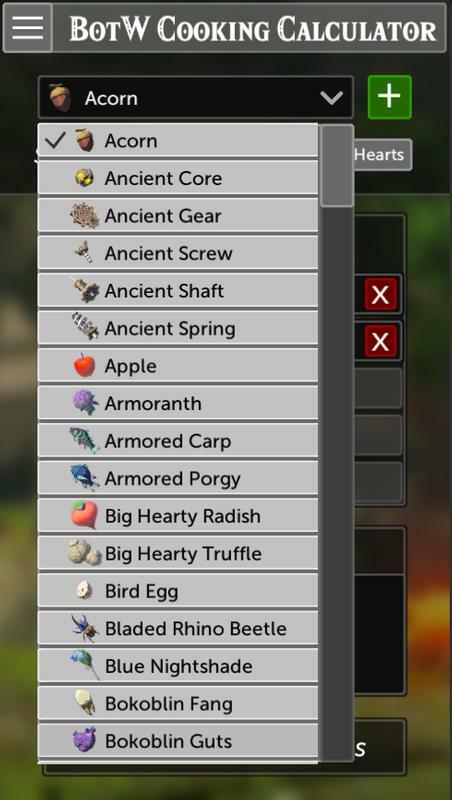 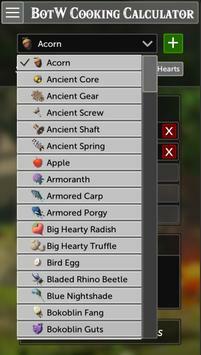 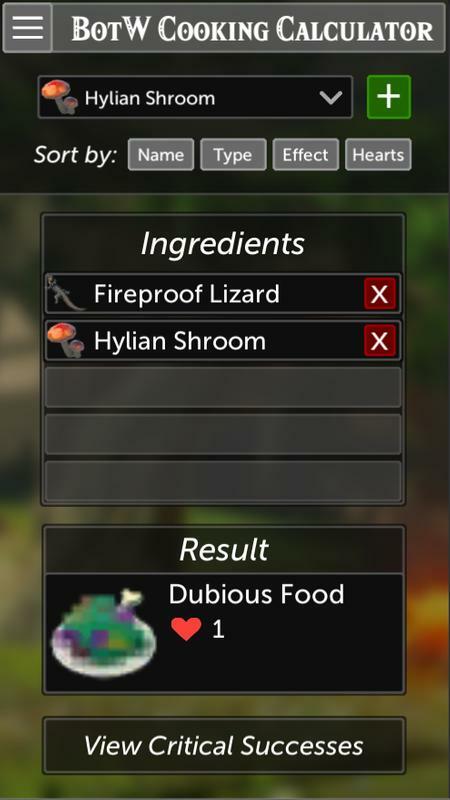 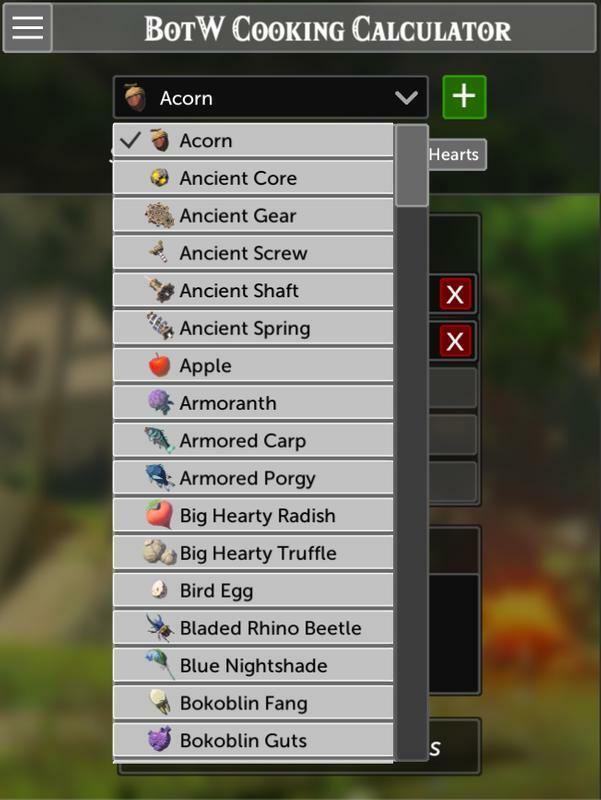 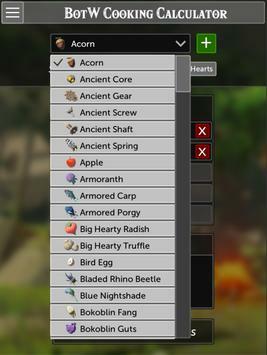 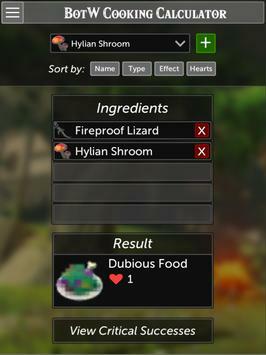 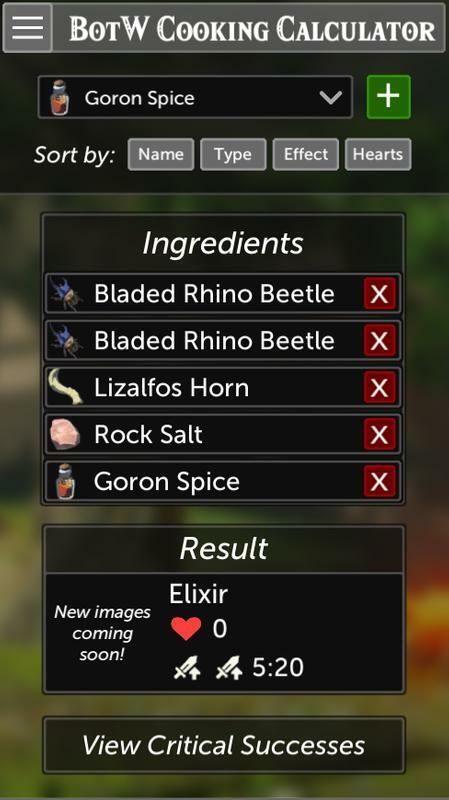 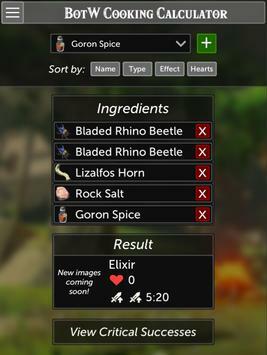 Add ingredients to simulate in-game cooking, and predict what effects your recipes will produce! 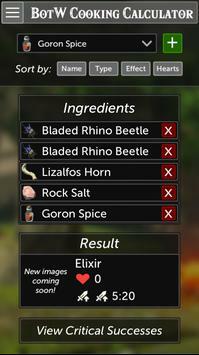 This app uses real in-game data to calculate the exact results of any material combination. 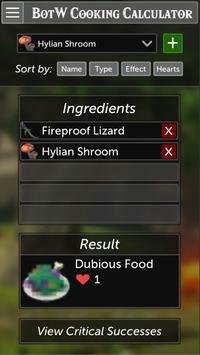 Please let me know on twitter (@andrewk380) if you have any issues or would like to report a discrepancy. Thanks!